Posted on August 24, 2013 by M.E. Another day, another celebrity being jailed for domestic violence, this time actor Marcus Paulk, from “Moesha” fame. 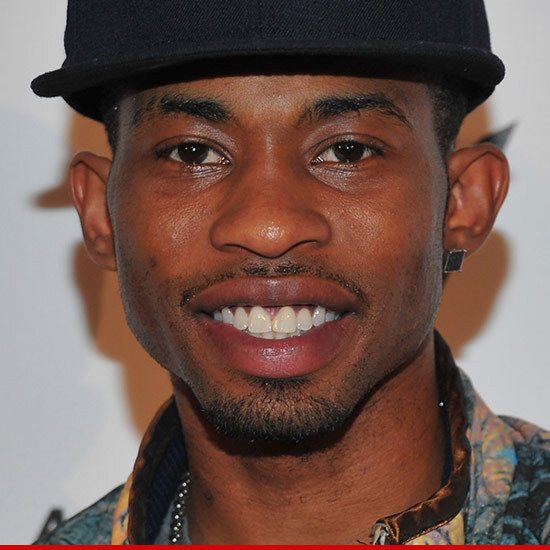 “Moesha” star Marcus T. Paulk — who played the little brother Myles on the show — has just turned himself in to authorities after allegedly putting his girlfriend in the hospital, law enforcement sources tell TMZ. According to sources, Paulk surrendered at an L.A. jail Thursday afternoon …and he was subsequently placed under arrest. The alleged victim — a singer named Andi Roxx — tells us, it all started at a nightclub in Beverly Hills called Confidential … she and Paulk had gotten into a verbal argument because she wasn’t paying him enough attention. When they went home, Roxx says the fight got physical and Paulk punched her in the chin. She says she swung back and busted open his lip, so he punched her again in the stomach, and told her to get her stuff and get out. She says he also kicked her in the stomach. The next morning, Roxx says she went to the hospital with internal injuries. Law enforcement sources say police responded to the hospital soon after, where Roxx told them what happened. Police later made contact with Paulk himself and his attorney arranged for Paulk to turn himself in today. We’re told the actor is currently being booked. Calls to Paulk’s reps were not returned. This entry was posted in Celebrity Kids, Controversy, Entertainment. Bookmark the permalink. ← Chanel Iman Loses Her Victoria Secret Wings? ?